To celebrate our second wedding anniversary, in May this year, we headed to Singapore for five nights of pure luxury. Our previous visit had been almost ten years earlier, at the end of a three month backpacking adventure through Southeast Asia. 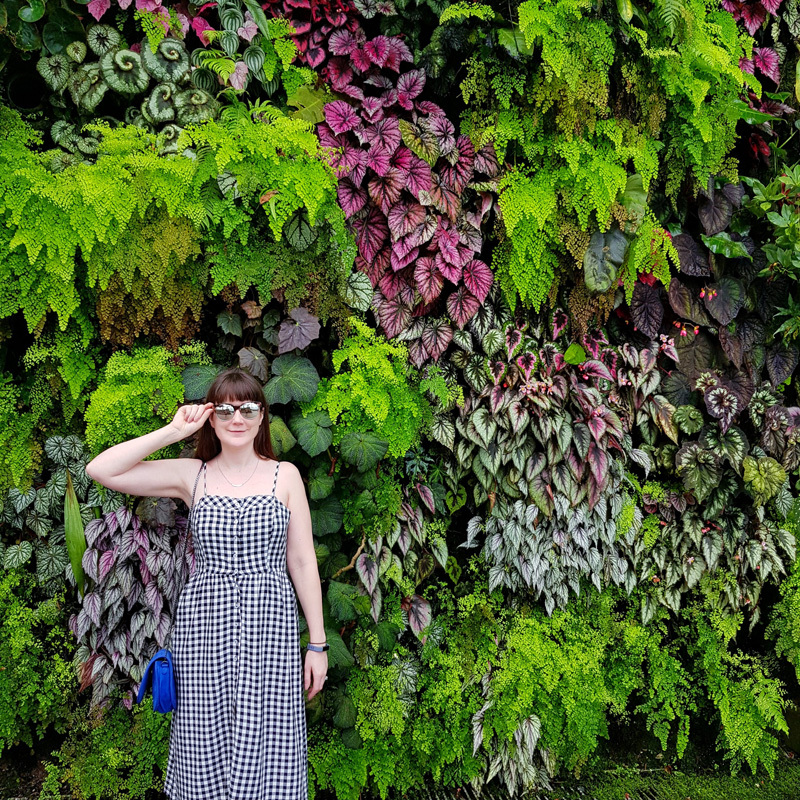 We have fond memories of our first trip when we went luging in Sentosa, sampled local cuisine at hawker centres and splurged on cute clothes (because if you're a regular reader, you know I love to shop). This time round, however, we had a completely different experience. 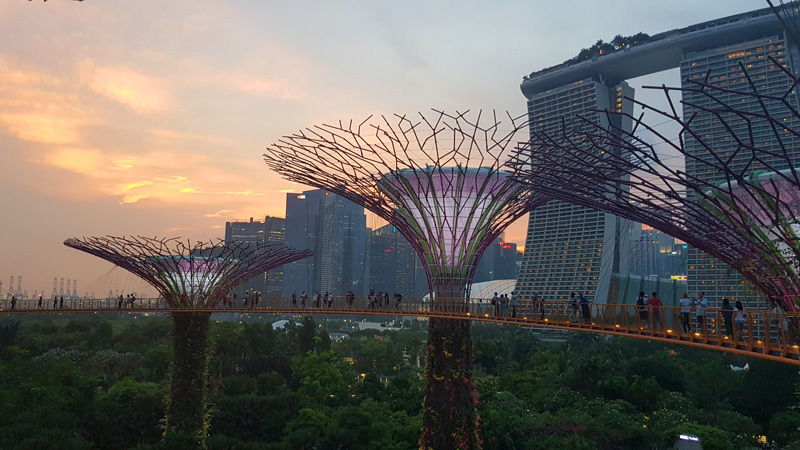 If you're seeking inspiration on what to see and do during a luxury holiday in Singapore, then look no further. This would've been a trip worth saving for but luckily for us, one tweet resulted in the holiday of a lifetime. 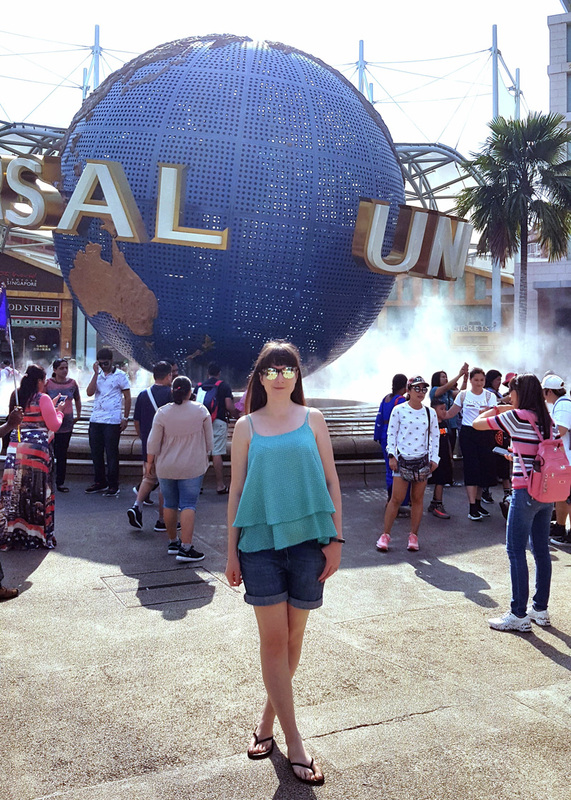 I entered a #PricelessSingapore giveaway with Visit Singapore and Mastercard... and won! After getting over the shock, we were put in touch with an amazing team who organised the following itinerary. We flew from London Heathrow to Singapore Changi Airport with Singapore Airlines. The flight was easy breezy and the flight staff were very courteous. We arrived in the afternoon and were greeted by our wonderful host, Arron, who took us to Naumi Hotel where we were staying. 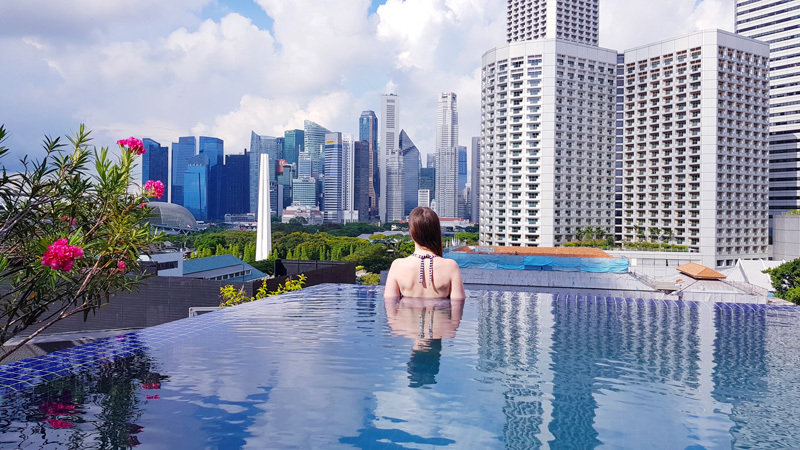 Located in central Singapore, this fashionable boutique hotel is 5-star, beautifully decorated and has an infinity pool. As well as being perfectly located, it has the friendliest staff and is one of the most Instagrammable hotels I've stayed in. Side note: The view from the infinity pool is second to none. 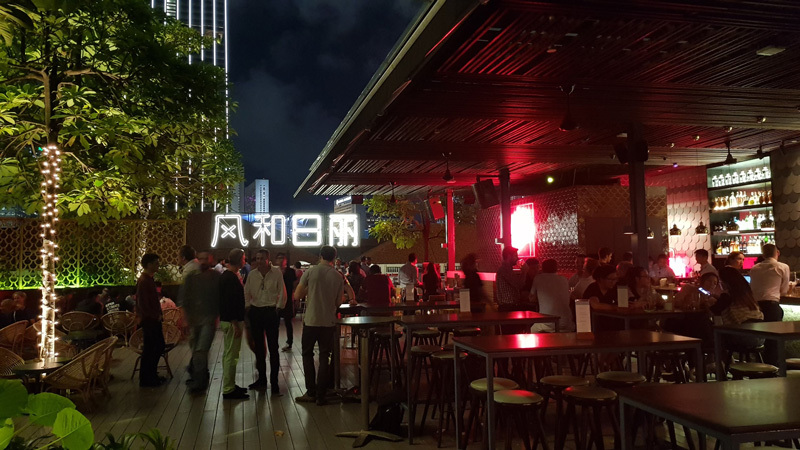 That evening, we were taken to Loof - Singapore's first roof top bar. We loved Loof because it had a fun, non-pretentious vibe and was undeniably cool. 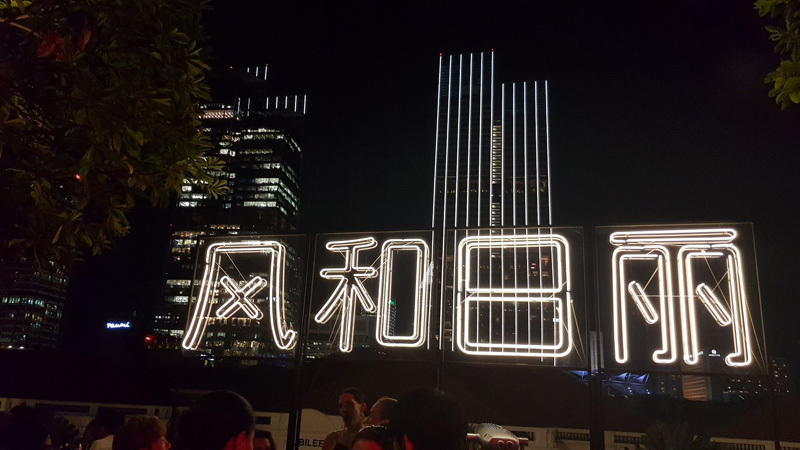 They serve traditional Asian snacks and really quirky cocktails. In the UK, many of the speakeasy type cocktail bars don't always offer the best quality drinks, but Loof is completely different. The staff here care about their food and drink and it was clear a lot of passion goes into running this bar. Writing this makes me want to go back. 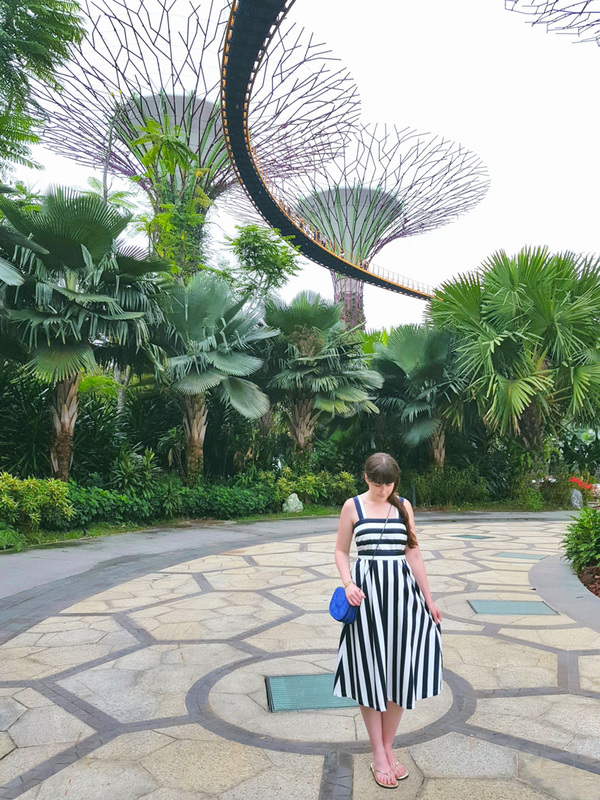 I 100% recommend this place and it was a great start to our Singaporean adventure! 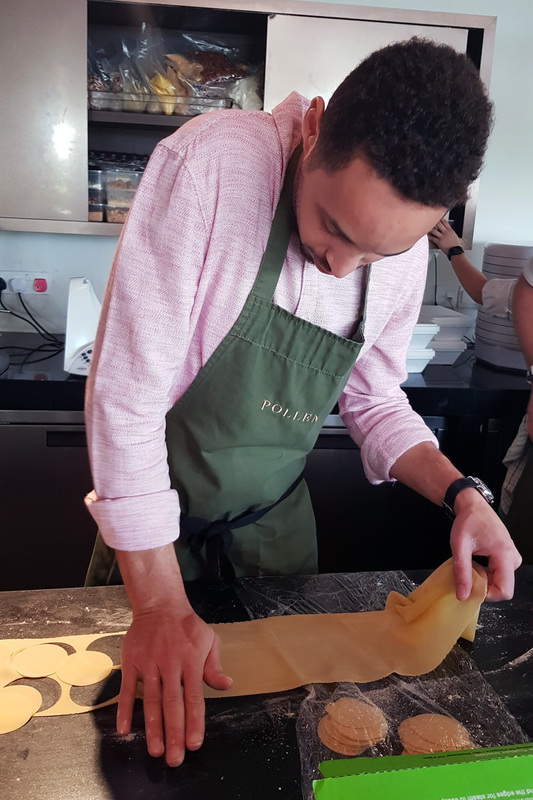 Our second day began with a private cooking lesson with the Head Chef at the restaurant Pollen, in Gardens by the Bay. When we visited in 2009 there was no Gardens by the Bay, but we'd heard many positive things from friends, so we were excited to visit the attraction and explore. After a quick search online we knew Pollen was considered a fantastic restaurant but we were a little apprehensive about our cooking lesson because we're amateurs in the kitchen! We needn't had worried. Chef Steve Allen is not only an unbelievable talent, who has worked alongside Gordon Ramsay and was Head Chef at Claridge's in London, he is the nicest human. I love nothing more than meeting new people who are down to earth and willing to share a bit of themselves with others, just because they are passionate about what they do. I should probably say that this really was a priceless experience. Chef Steve doesn't often host guests in this way but made an exception for our awesome host (another impressive human). He was so patient and chatted with us openly as he taught us to make a delicious vegetarian pasta dish with sides. We thoroughly enjoyed our time here - if you're curious, please stop by when visiting the Flower Dome as you will not be disappointed. 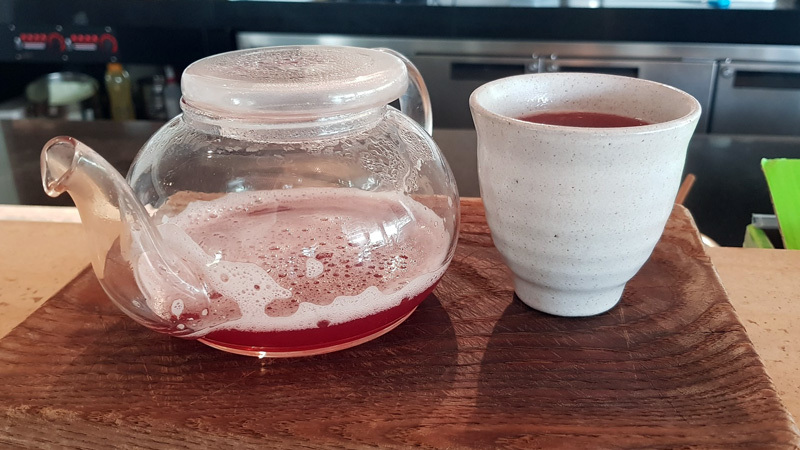 I'm still craving the warm rhubarb tea I drank! Chef Steve is obviously respected and admired by his colleagues which was so nice to witness. This was my joint-favourite moment of the entire trip and we'll definitely be back one day. Side note: I was beyond impressed by the vegetarian selection the restaurant had to offer, they even host vegan nights! I love how innovative the menu is and this is must-visit for any trip. 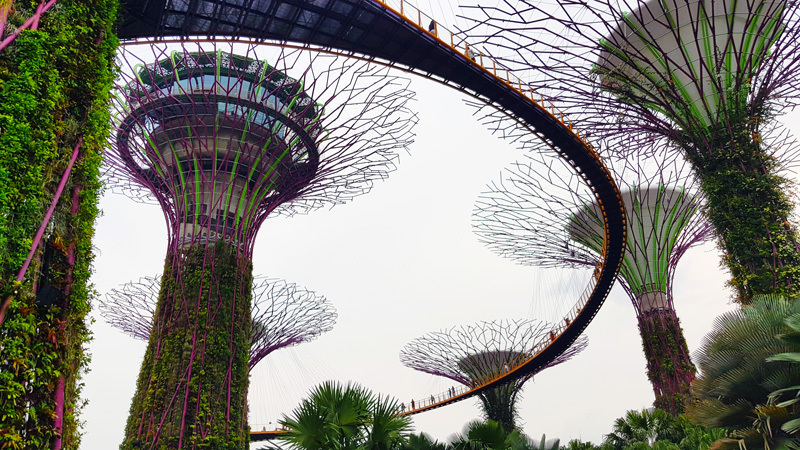 You've probably seen pictures online (bloggers love this attraction), or spotted its Skywalk in David Attenborough's Planet Earth II, but Gardens by the Bay is impressive. I'm not as eloquent as David, so I recommend watching this 1 minute clip now... RIGHT? Yes, this is why you need to put this on your itinerary. A few hours was not enough, which is why we snuck back on Day 5 for more. 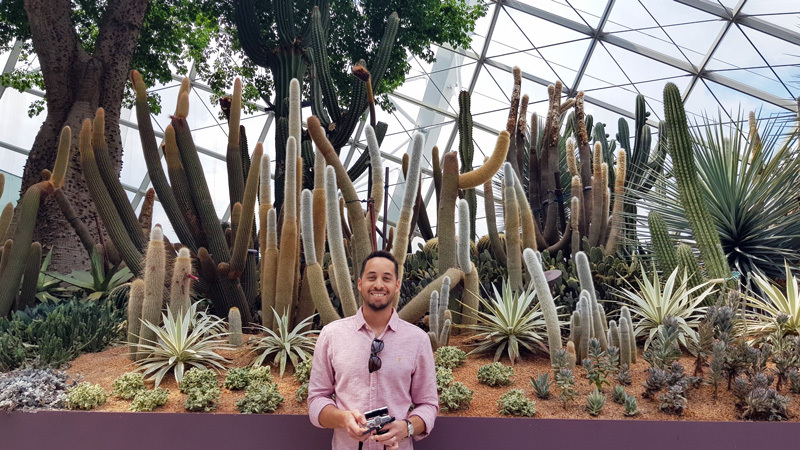 We loved the Flower Dome and the Cloud Forest - it was really heartwarming to see trees and plants from Zimbabwe, where Sam was born and raised. 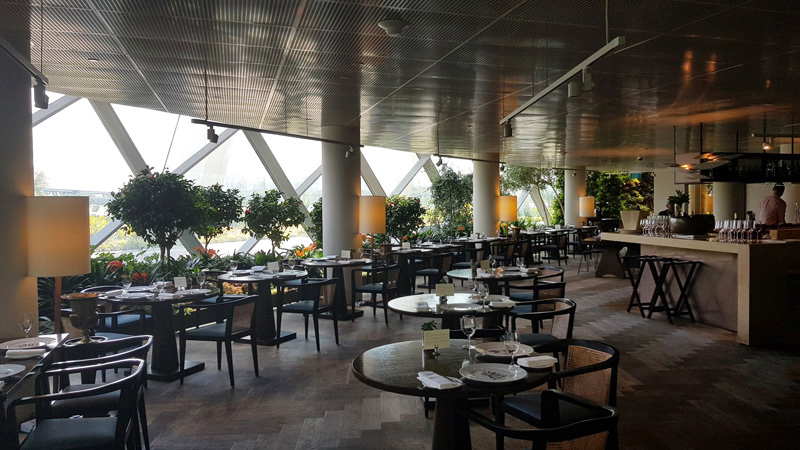 After a quick shower and an outfit change, we were taken to Odette, at the grand National Gallery Singapore, for our lavish anniversary meal. We were welcomed by General Manager Steven Mason and shown to the Chef's Table so we had a view of the action. What a treat! 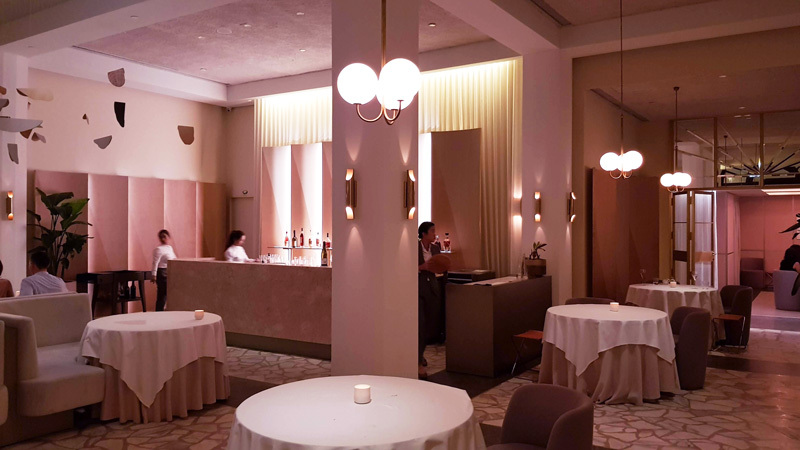 This two Michelin star restaurant offers French fine-dining but the restaurant itself has a modern, Instagrammable decor. Chef Julien Royer introduced himself and talked us through what we would be eating that evening. 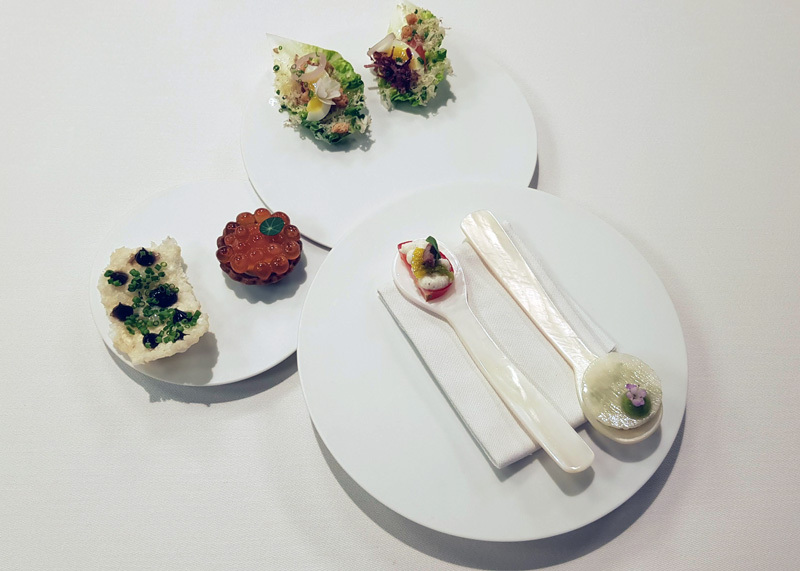 We were then taken on a culinary journey through multiple courses, all of which (for me) were vegetarian. 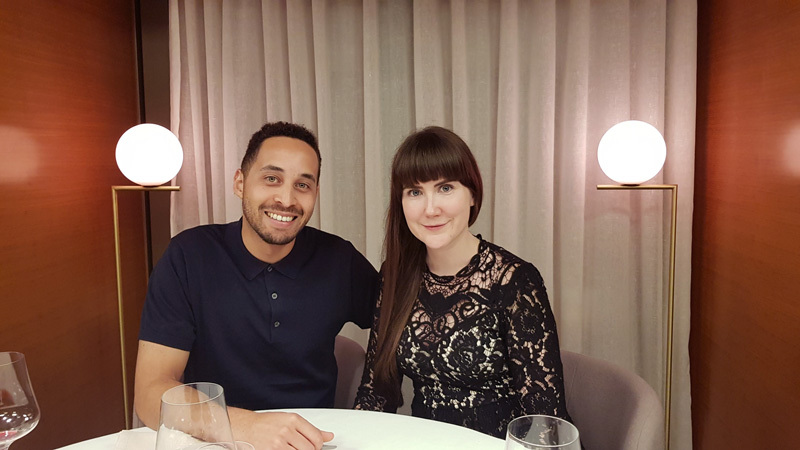 We were due to savour an 8-course tasting menu but we kept being surprised by extra treats, so including snacks and desserts it was closer to 13. Each course was accompanied by the perfect wine and we left with the most delicious pot of jam as a parting gift. We were truly blown away by this restaurant, its carefully curated dishes and ambience. The food and service were both exceptional. Odette was named after Julien's grandmother, who showed him the most remarkable dishes can come from the simplest ingredients. Our stand out dishes? For me, the Rosemary Smoked Organic Egg and Memory of Chocolate. For Sam, the Hokkaido Uni and Le Pigeon Fabien Deneour. This is certainly worth the price tag. Another new addition to Singapore, since our previous last visit, is Marina Bay Sands. It is HUGE! 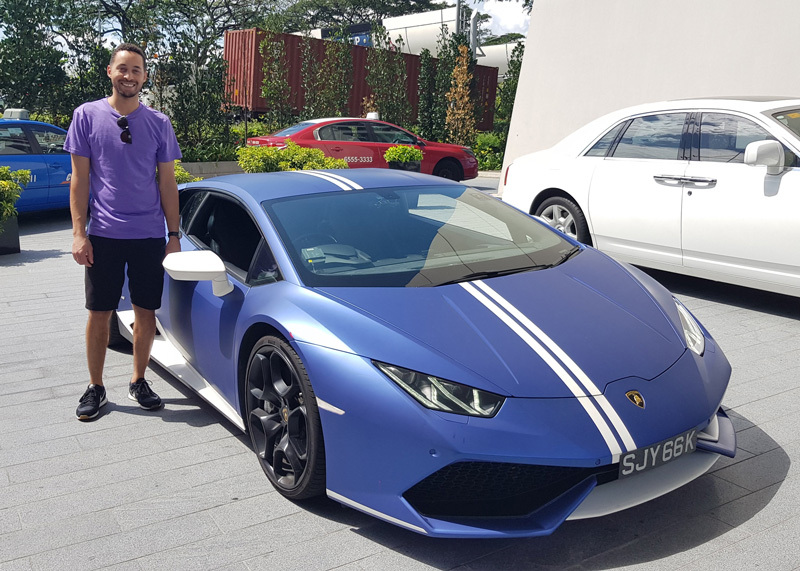 On our third day Arron took us to MBS for an Ultimate Drive Experience. We went on the Street to Freeway Tour, which follows the F1 circuit. Who knew the F1 race actually takes place on the streets of Singapore and not on a separate track!? 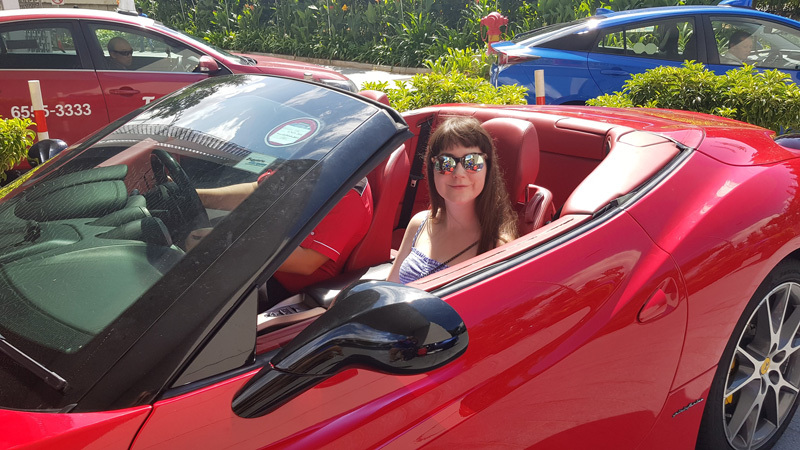 I was driven in a red Ferrari, whereas Sam got to drive a blue Lamborghini Huracán. The experience lasted around 30 minutes which was the perfect amount of time for me, although Sam would probably argue otherwise. I really enjoyed being chauffeured around and talking to my driver about the country and his job (which he loves by the way). I was a little windswept afterwards but I would certainly do it again! It's such a fun activity and felt like such a treat. Afterwards we stopped by Toast Box to try some traditional Singapore food and then had dinner across town. 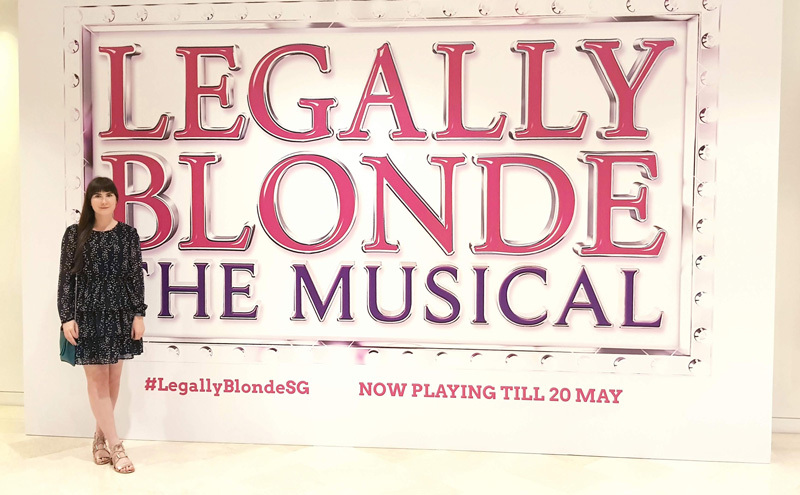 That evening, we had tickets to the MBS Theatre to watch Legally Blonde! 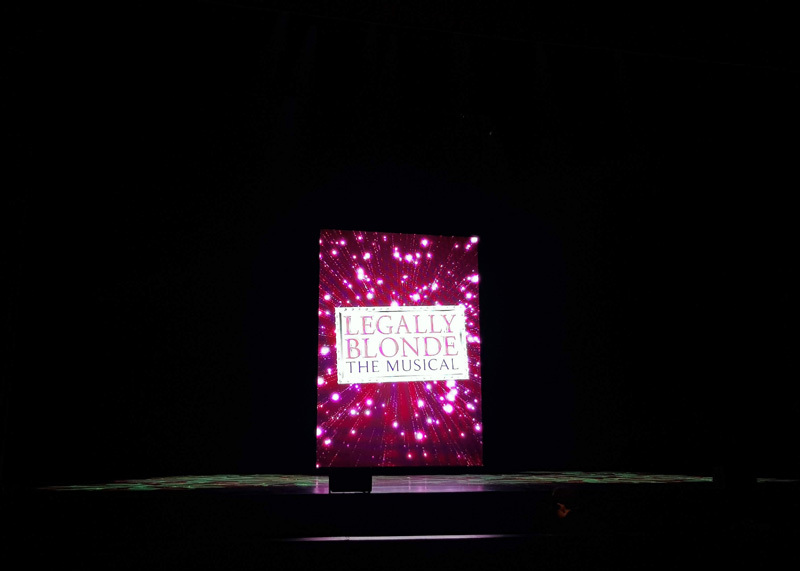 We were given premium seats and had a fantastic view of the stage. I was super grateful for our seats, which were only a few rows from the front. If possible, I do recommend opting for closer seats for the most rewarding experience - it felt like we were fully immersed in the show! It was such an entertaining production, I've always loved the film and although Sam was somewhat sceptical at first - he really enjoyed it too! There was a fair bit of non-PC humour, which I'm not sure you'd get away with in the UK, but it made the performance that bit funnier. The theatre itself was extremely grand and the staff were welcoming. Singaporeans are extremely friendly which makes all the difference. 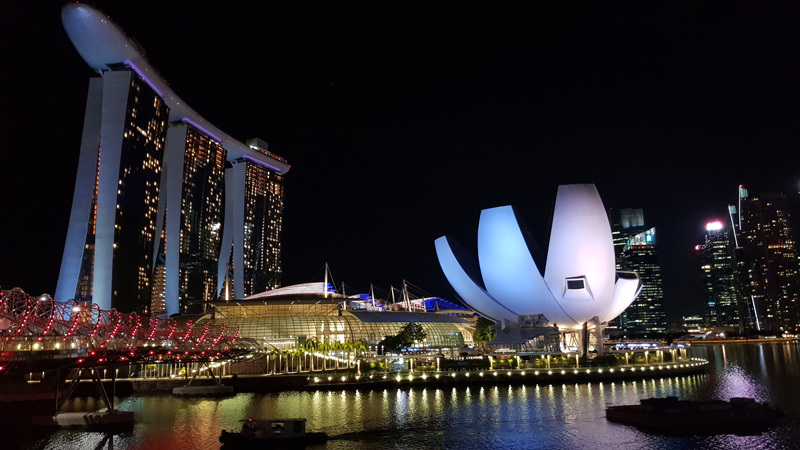 After the show had finished, we headed to the MBS Casino. We'd never been to a casino before so we were curious and a little nervous. After queuing up and experiencing security similar to passport control, we entered the casino. It's so large! The drinks were flowing, the lights were dazzling and the we could hear the constant ringing of slot machines in the background as we wandered around. We decided we'd just start with $50 in our pockets and try our luck. We stuck to the slot machines but we soon spent our loot and the novelty wore off a bit. If you wanted to spend more money, you could easily stay here for hours, but it turns out we aren't the best gamblers. Which is probably a good thing. On Day 4, it was time for another first! Neither Sam or I had been to a Universal Studios before. We were thrilled Arron had booked us onto a VIP Experience tour. We were in a group of 4 and escorted through the park by our own personal guide. This meant we skipped ALL lines - like real VIPs! We had access to at least 8 attractions during the tour but went on more than that. We did get caught in a few showers and the rides were stopped for safety reasons (thanks to a potential electrical storm) but this didn't curb our fun! I will never visit another Theme Park as a non-VIP aka a regular person. Fact. This experience was a game changer. Some rides had a 1-2 hour queue time, but we were just shown to the front! We went on the Transformers ride multiple times, both Battlestar Galactica Rides, Revenge of the Mummy, Jurassic Park Rapids Adventure (really enjoyed the surprise at the end) and watched the Waterworld show. I also liked the 'Lights! Camera! Action!' show Hosted by Steven Spielberg. We ate at one of the onsite restaurants and once again, I was happy with the range of vegetarian food on offer. Oh and apparently this year's Stranger Things Halloween takeover with Netflix is going to be AMAZING. If you're going in October, it's is a must-see. 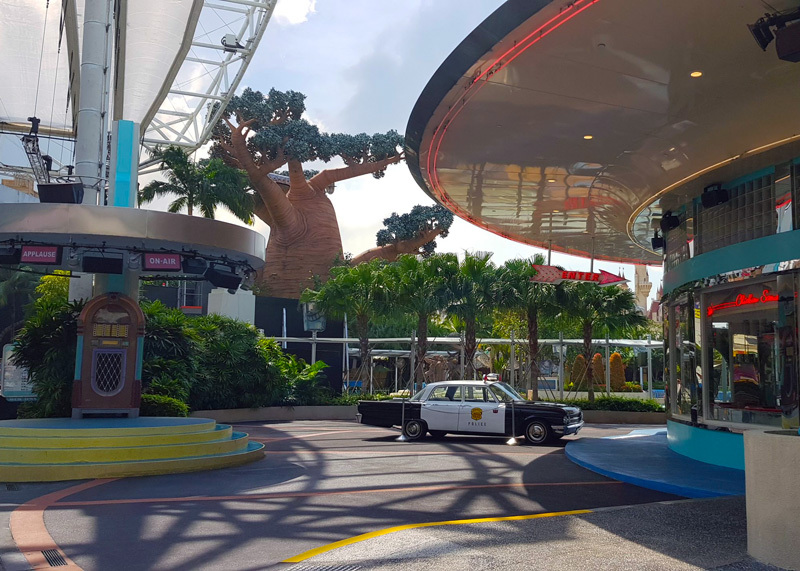 After having the most fun two people could ever have at a theme park, we returned to base for another quick wardrobe change before going back to Gardens by the Bay. We knew we simply had to return to walk along the Skywalk at sunset and witness its free night show. Sam was a good Instagram husband and took my photo while it was still light, but you can't blame me for wanting this shot, right? The night show was simply magical. We climbed to higher ground to get what we felt was a best view of the trees and waited for the music to start. I'm not sure what I was expecting, but we were in awe of the whole experience. The lights were in perfect sync with the music. It was one of my favourite highlights of our trip and pretty romantic too. Oh Singapore, I love you. Time for shopping! Of course I made room for a bit of retail therapy on Day 5. How could I visit Singapore and not shop? 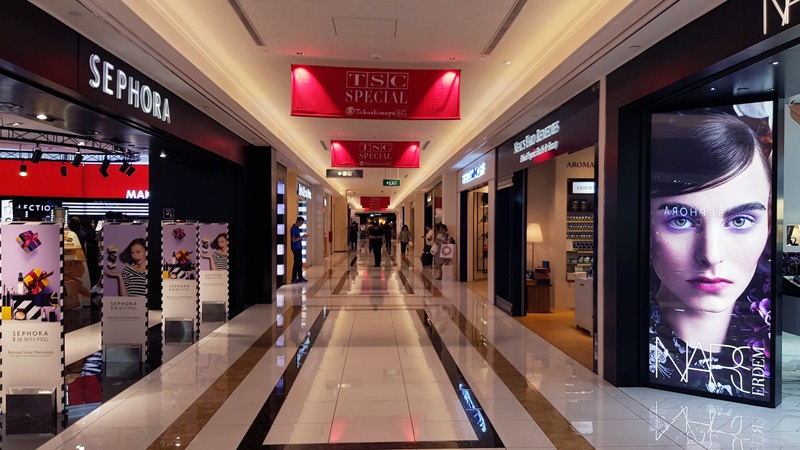 MBS has all the high end brands you could ask for, from Gucci to Mulberry, but we made our way to Takashimaya Shopping Centre as we had some vouchers to spend! 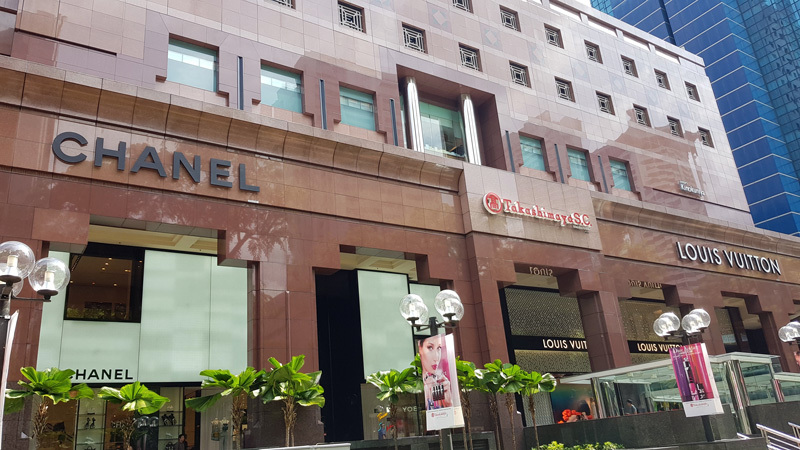 Takashimaya is also home to designer brands such as Chanel and Louis Vuitton but also has the more affordable and contemporary brands like Zara, Jack Wills and Scotch & Soda (my faves). Sam treated himself to a selection of shirts and I bought a button down dress. We wandered around the area on foot and I popped into a few different boutiques which looked appealing. The shopping in Singapore is superb. 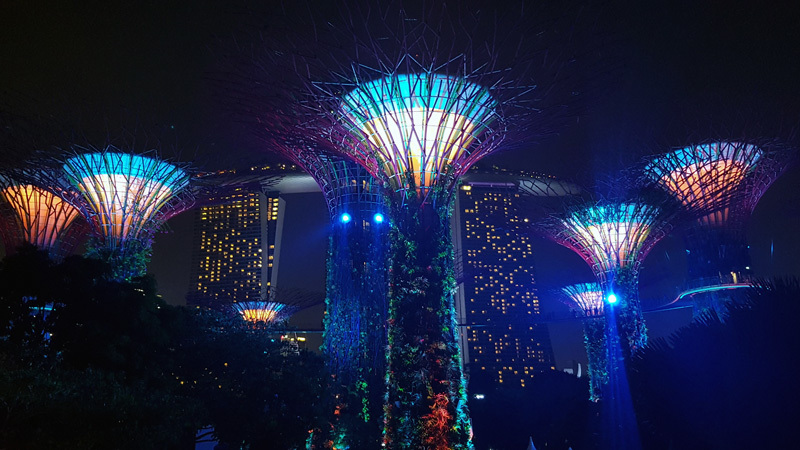 Our final night in Singapore was another one of our highlights! Our gracious host Arron invited us to spend the evening on a luxury yacht with free flowing champagne, cocktails and delicious canapés. It was an offer we couldn't refuse. 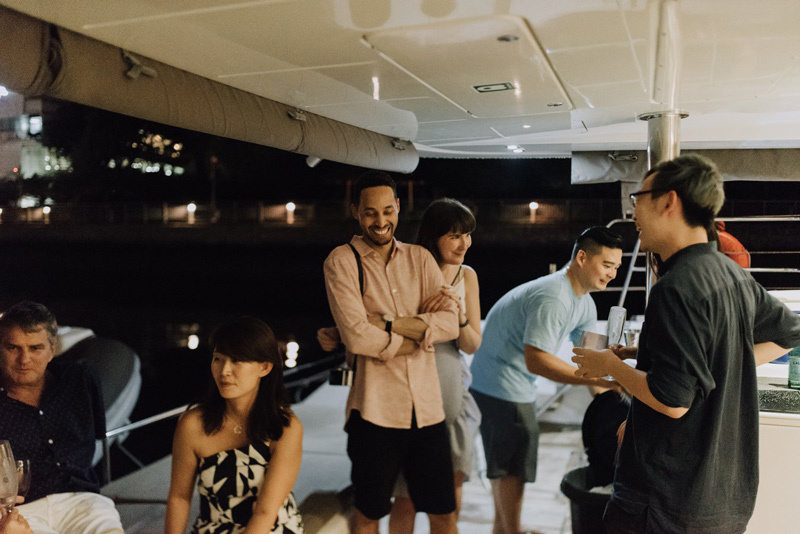 Exclusively for Mastercard holders and hosted by The Good Works Company, The Captain's Club was a delightful evening filled with socialising, great food, mouth-watering drinks and fireworks! Every event has a different restaurant serving up cuisine but we lucked out as we got Pollen again - hurrah! Each cruise has a maximum of 20 guests, so it doesn't feel too crowded but you have people to talk to if you want to (I made friends). 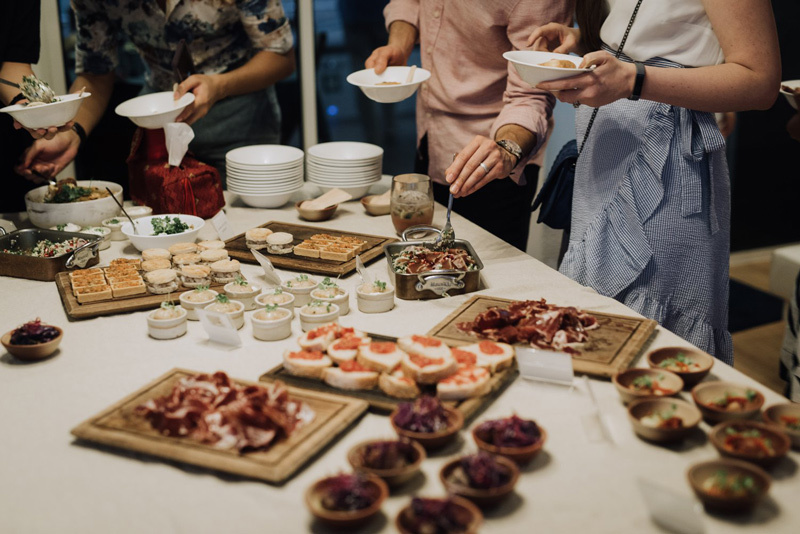 If you aren't that sociable then don't worry, you aren't forced to mingle and there are no awkward group introductions or anything like that. It was just a chilled night on the open waters. I've never really done anything like this more, it was so informal and fun - I think this is probably down to Arron and The Good Works Company/The Inside Access. We left feeling like we'd made friends and unforgettable memories. I hope you found this itinerary interesting and useful! I can not recommend Singapore enough. I genuinely get the warm and fuzzies whenever I think of this trip, part of me wonders if we can ever top it. There's so much to see and do here, these are just a few suggestions if you're looking for a more indulgent holiday. If you have any questions, feel free to leave a comment below or tweet me. 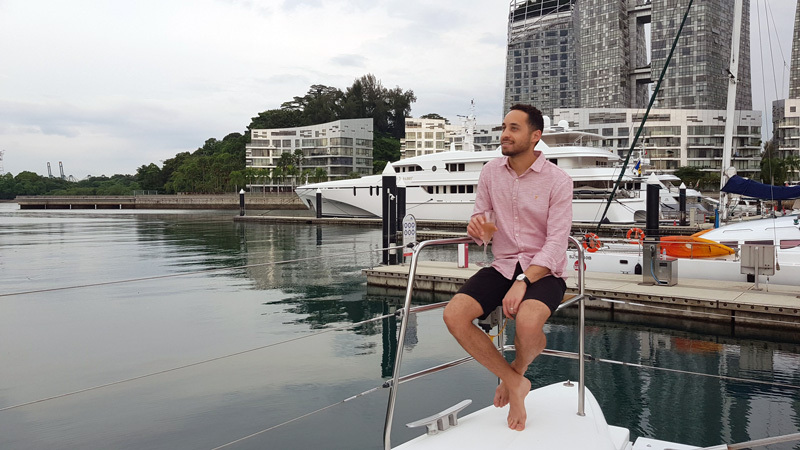 I also want to say a MASSIVE thank you to Visit Singapore, Mastercard and Arron, our lovely host. He is the founder of The Inside Access event management company, all round superhero and nice guy (wearing blue in the photo above). We felt like we had the smoothest trip and knowing we had someone we could call, if we needed help or had any questions, made the whole trip even more incredible.